The growing influence of the right-wing sentiments in society can become a threat to the EU? The European Union is preparing for confrontation with the right-wing parties in the elections in May 2019. 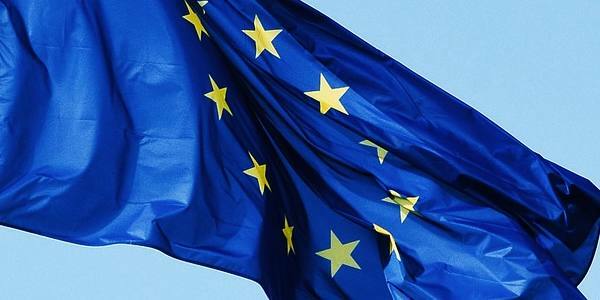 The European Parliament has stopped funding of two nationalist political forces due to the fact that they could not prove that they have branches in at least seven EU countries. Two political parties – The Italian political force Alliance of Peace and Freedom and the Hungarian Party Alliance of European National Movements, whose leader Bela Kovacs, being a deputy of the European Parliament, was accused of espionage in favor of Russia, fell under the cuts. The first party was founded by the Italian fascist politician Roberto Fiore, and his deputy is the British nationalist politician Nick Griffin. These forces did not have a serious influence on the political situation in Europe. However, now representatives of the ruling elites in many European countries fear because of a serious competition from the right in the elections to the European Parliament in May 2019. And the British newspaper “The Guardian” called for the unification of the European Democrats to prevent the ultra-right forces from seizing the power. It may be too late. Right-wing nationalist parties today have seriously strengthened their positions in countries such as Austria, Italy, Germany, France, Sweden, Hungary. The German “Alternative for Germany”, the French “National Movement”, the Italian party «League of the North» and the Hungarian nationalist party “Jobik” are actively preparing for the parliamentary elections in the EU. And in Sweden, supporters of these parties from the movement “Swedish Democrats” on the basis of parliamentary elections forced the resignation of the Prime Minister of the country. One can observe that more and more European citizens are voting for these political forces. Why? Despite the existing contradictions of the European right-wing nationalists, they are united by two things: the rejection of mass migration to their countries and dislike for the European Union. It was the migration agenda that became the main component of nationalist success in countries such as France, Germany, Austria, Hungary and Sweden. Nationalist politicians were able to turn in their favor flows of refugees from Syria and the Middle East. The religion of refugees, most of whom are Muslims, also increases the temperature in the fire of European nationalism. The imposition of their will by Brussels was the second reason for the serious success of the right forces in Europe. Thus, the leader of the Belgian nationalist party “Flemish Interest” Gerolph Annemans stressed that European officials “command our emigration”, which means that the EU member states no longer have any serious influence. It is also important that nationalists can become an instrument of third parties in the cause of the destruction or radicalization of Europe. In this case comes to mind the close relationship between Marine Le Pen and the leadership of Russia. It is worth noting that Washington is also showing interest in gaining influence on the European right-wing movements. For example, former adviser to President Trump Stephen Banon recently visited some European countries, where he met with leaders of nationalist parties. Stephen did not hide his goal: to unite the right in Europe to win the elections to the European Parliament. Regardless of whether European nationalists can create an influential force in the European Parliament, the reformatting of Europe has already begun. And it seems that many Europeans are satisfied with this. There is no other way to explain the success of the right forces in elections in various European countries. Artykuł nie został jeszcze przetłumaczony na język polski.